Liquid eyeliner formulated with a new acrylic resin, the liquid eye liner dries very quickly forming a flexible film on the skin. Resistant to water and friction. Intense colors and covering. 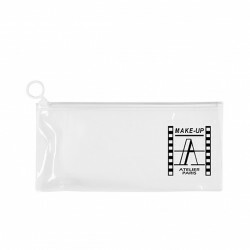 Formulated with wax and silicone resin, the gel eyeliner ensures an exceptionally strong makeup by forming a flexible and ultra-resistant film on the skin. Resists water and friction. 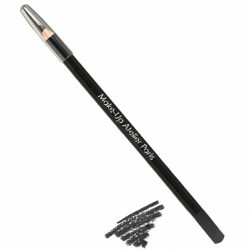 Ability to degrade the eyeliner trace before drying for smoky eyes makeup or smoky makeup. Cream Concealer Palette luminous and covering correctors designed to conceal dark circles, stains and tattoos on skin. Formula enriched with a vegetable oils complex and vitamins A and E, the cream concealer maintains the skin moisturized and soften little wrinkles. Resists water, tears and perspiration. Nacreous fine synthetic mica powder for a pearly and covering make-up. Extra fine sparkling glitter, diamond effect make-up. Apply on the eyelids above a light touch of Magic primer to make the eyeshadows sparkle. 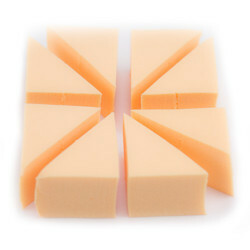 Oil Free Moisturizing Base for normal and combination skin. 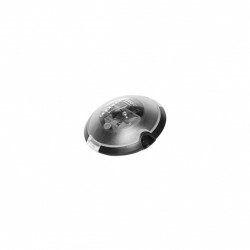 The moisturizing base restores the skin's hydrolipidic film. Rosemary extract, an excellent antiseptic, protects and tightens pores. Plumping Gloss, a colorful vitamin care for the lips. The emollient and moisturizing oils of plumping gloss swell the dehydrated cells and prevent the evaporation of the superficial layers of the skin. Plumping volumizer without sticky effect. 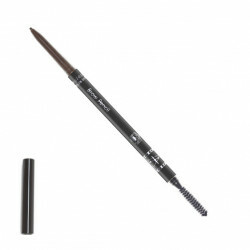 Very soft greasy solvent for dilution of gel eyeliner, gel color and eyeshadow cream. Waterproof Mascara, smooth cream with good adherence on lashes. Adds volume, separates and lengthens lashes with the brush. Apply a first layer at the root of the eyelashes, the second layer along the length and the third on the tips. 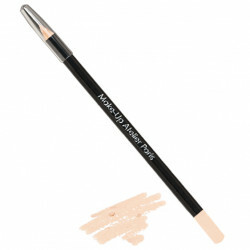 Long lasting Eye Pencil, waterproof satin formula. Soft texture, easy to degrade for a smoky makeup effect. For a deep look, apply the pencil on the lining inside the eyes. Lip pencil soft texture satiny and covering. Waterproof formula for a long-lasting lip contour. Natural and bright colors. Eyebrow pen with a precise layout and a fine, retractable lead. Has a hair brush to brush eyebrows. Waterproof long-lasting formula based on wax, without mineral oil, without paraffin, without volatile, without preservative and which contains natural antioxidants. The colors are natural and easy to fade. Formula enriched with vitamin E and vitamin C.
One brilliant and four lipsticks that form a harmonious color gradient to shape the lips, increase the volume and correct imperfections. 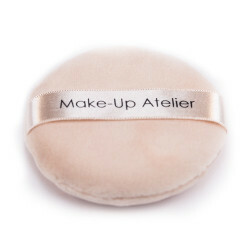 Formula enriched with Jojoba oil, Shea butter and vitamins A and E.
Palette 10 colors ideal for PRO makeup artists. Combining all skin tones from the lightest to the darkest, the palette of 10 blushes includes a highlighter, 4 cold tones and a highlighter, 4 warm tones. Silky textures, formulated on talc and silicone treated pigments. Good-looking effect guaranteed thanks to matte and satin colors. Highly resistant. Palette 10 Contouring 5 lights and 5 modelers for all skin tones, a Palette Contouring perfect for modeling the face. Silky textures, formulated with talc and silicone treated pigments. Matt and satin colors. Highly resistant. Extra fine loose powder composed of pigments and mineral powders. Excellent fixation of the complexion, natural and transparent result. The hollow silica beads absorb the sebum and suppress the shine while preserving the transparency of the complexion. 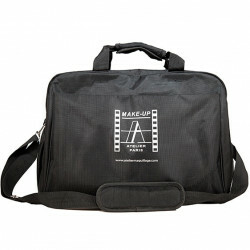 Depuis 1986, l'ATELIER INTERNATIONAL DE MAQUILLAGE forme les maquilleurs professionnels pour les milieux de la mode, de l'audiovisuel, du théâtre, de l'Opéra, des ateliers d'effets spéciaux.